The healthcare system of Australia is one of the best systems in the OECD; however, it has been under intense pressure due to the changes in the healthcare requirements and demands of people, complex health conditions, and costs of healthcare facilities as well as the pressure to improve the outcomes [ CITATION Org10 \l 1033 ]. 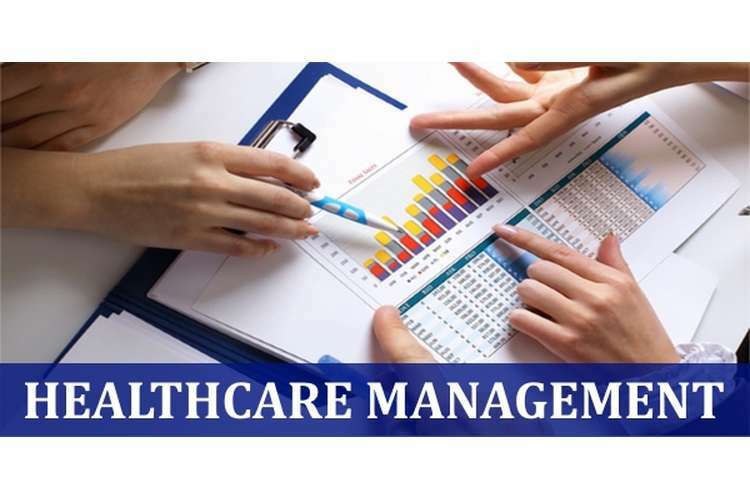 The healthcare system of Australia has developed in accordance with the international business but there are some components of the healthcare system that are not performing as efficiently as they are required. The system is facing inefficacies and lack of workforce; it is however expected that reporting of public regarding the availability of required services, clinical indicators and patient based outcomes to ensure updated decision making by the patients and their caretakers [CITATION CFF11 \l 1033 ]. There is a lot of scope for improvement through incremental or within system reforms as proposed in recent Commission Research study on efficiency in healthcare. The healthcare sector is required to get prepared to deal with the changing requirements of the patients and technological advancements [ CITATION Com15 \l 1033 ]. The policymakers for the healthcare system are required to address care coordination, needs of patients, involvement of patients in healthcare delivery as well as redesigning of the funding mechanisms in the healthcare system of Australia. It has been evident that there are certain parts of healthcare system that are inefficient which are visible in the form of wasteful expenditure, reduced access to healthcare facilities and below par quality and safety outcomes. The improved efficiency would result in better value for money from health expenditures, better health outcomes, quality care, and improved access to health services in the given level of financial support. The Australian Commission on Safety and Quality in Health Care conducted a roundtable in 2014. The report identified areas of improvement in the efficiency of healthcare system of Australia through reforms that could instantly be implemented in within the system without making any changes in the existing institutional and funding structures. It had been identified by the Commission that there is requirement of comprehensive and independent review of the healthcare system of Australia so that substantial achievement of efficiency could be improved [ CITATION Sun18 \l 1033 ]. The expenditure on healthcare facilities through taxes, insurance premiums and direct payments is extremely high in Australia. The growth in the healthcare expenditure is getting slower but not similar to the growth of GDP. The share of the economy from the perspective of healthcare services had increased up to 10.3% which means in every $10 of the economy, $1 is being spent in the healthcare sector and around 70% of the expenditure on healthcare sector is the expenditure by the government [ CITATION Aus17 \l 1033 ]. However, the pace of expenditure has been reduced; the total health expenditure is growing at an average rate of 4.5% every year actually. This trend is expected to be continued because of various reasons which include chronic diseases, ageing population, increasing income of people, changing expectations of the consumers and also because of the impact of innovative medical encryption techniques and technologies. Australia is a member of the OECD and it follows all the international standards for quality as well as performance measurement. Considering its hospital expenditure, utilization as well as capacity, Australia is on the top of the list of OECD countries such as there are 13.4 MRI machines per million people; however, MRI exams are one of the lowest i.e. 27.6 per 1000 people. In a similar manner, the obesity rate in Australia was staggering 63.4% in 2015 among adult Australians i.e. almost 2 in 3 adults. Considering access to healthcare to the adults in Australia, around 10% of the adults have to wait for 4-5 months or even more for the elective surgery and around 20% of the patients have been facing care coordination issues in last few years [ CITATION Aus184 \l 1033 ]. In a similar manner, around 40% of the patients suffer due to gaps in hospital discharge arrangements in the last few years while only around 35% of the patients received data related to the clinical outcomes in the primary care establishments and experience data. As per the report of International Profiles of Health Care Systems (2015), 48% of the public considered public health system as adequate and required minimal changes while 43% people required fundamental changes [ CITATION Eli16 \l 1033 ]. It is remarkable that the government in Australia provide healthcare facilities to the public but even then, around 16% of the patients experienced access barriers due to costs. The number of beds available on every 1000 people in Australia was 2.6 public hospital beds on 695 public hospitals which provide 62000 of all the hospital beds [ CITATION Aus151 \l 1033 ]. The healthcare systems funded by government have various issues related to the waiting lists. Due to the capacity limitations, long waiting lists create policy issues, number of patients do not wait and search for the private hospitals for treatment purposes. Even more, waiting lists are costly to be administered and emphasizes on the under-utilization of the available beds in the hospitals [CITATION hea18 \l 1033 ]. Furthermore, the expenditure of Australia is more on health interventions which include tests, procedures, medicines and all others, that are inappropriate, replica or excessive and provide highly reduced or no benefits related to the risks and costs and in some cases, cause harm to the individuals as well. Moreover, the processes for the evaluation whether health treatments permit government funding as well as in reducing or removing the public subsidies that are not justified, also do not work as efficiently as required. It means that governments subsidize various health interventions that do not meet existing clinical and cost value thresholds and might even cause harm to the patients [ CITATION Bou17 \l 1033 ]. The essential initiatives could be taken by the Health Ministry of the Australian Government by taking reviews of the subsidized medicines and health services. It is often not realized by the healthcare providers that they provide inappropriate treatments so, the clinical guidelines could help to promote high value medicines but it does not occur due to such guidelines being highly complicated, outdated, and lack credibility and even are feebly implemented within the healthcare system. In order to create appropriate guidelines, it is required that clinicians should be involved in the development and implementation of the guidelines for example, through the utilization of expert panels of the clinicians [CITATION Sut13 \l 1033 ]. The healthcare providers in Australia might also lack strong financial incentives for the purpose of delivering clinically and cost-effective medicines. Although, the payment models in the country is advantageous such as in the form of fee-for-services in primary care facilities or activity-based financial management in public hospitals, it is evident that such models could encourage over-servicing, reduce safety and quality and could lead to uneven care and costs. It has been agreed upon number of times that Australia will invest judiciously in the preventive healthcare but it is not clear that how to do it in a cost-effective manner particularly for complicated health issues which include obesity [ CITATION Lei16 \l 1033 ]. Evan’s checklist can be used to identify the strategies for the purpose of strengthening the performance of the existing legislations and procedures as well as could act as a practical guideline for the legislators. The government of Australia regulate several aspects of healthcare system for the purpose of safety of patients as well as to promote affordable and accessible healthcare facilities [ CITATION Mel17 \l 1033 ]. However, it is evident that there are certain regulations that are unable in achieving the desired objectives. The restrictions upon the scope of practice of the healthcare professionals could limit the flexibility of the healthcare services so as to respond effectively to the requirements of the patients. It has been identified that there are certain tasks that could be performed by some of the professionals safely and effectively that such an expansion of roles and responsibilities could result in better coordinated patient care and enhanced level of job satisfaction for the healthcare professionals [ CITATION Pal14 \l 1033 ]. It becomes the responsibility of the government to initiate and to evaluate trials and to utilize the outcomes for the purpose of expanding the scope of practice of the existing workforce [ CITATION AIH18 \l 1033 ]. Furthermore, restrictions upon the positioning and ownership of the retail pharmacies restrict the competition and increased prices of the pharmaceutical products make it difficult for the consumers to access such services. If government could remove such rules and targeting the safety and to access objectives directly, it would be highly beneficial. It is evident that the government of Australia and patients pay excessive amount for the prescribed medicines through Pharmaceutical Benefits Scheme in comparison to other countries [ CITATION Bra17 \l 1033 ]. The pharmaceutical prices could be made more competitive and it could be achieved by making modifications to the arrangements for pricing of the medicines and through the establishment of an autonomous price strategizing authority. The regulations on private health insurance facilities also restrict the ability of the insurers to develop innovative products that could meet the requirements of the customers in an effective manner. If amendments are made on such restrictions, it would enable the insurers to play a significant role in support of effective healthcare outcomes as well as in reducing healthcare costs. On the other hand, an incremental approach towards reform is also required in order not to underestimate multiple objectives of the private healthcare insurance regulations. The Australian Productivity Commission examines the health care system of Australia on periodic basis which include public hospitals and publishes the reports regarding the states, territories and commonwealth [CITATION Glo15 \l 1033 ]. The private hospital system of Australia holds a parallel market in the country and its health policy encourages the robust public hospital system that is complemented by private hospitals, thus, there are choices available for patients either to select private or public hospitals for the purpose of treatment [ CITATION McC07 \l 1033 ]. However, it requires the unsubsidized portion of the expenses of private hospitals to be covered under private insurance plans. So, the costs of seeking healthcare facilities through private hospitals could become an issue for those not having private insurance and are unable to afford the costs through their personal funds. Some of the weaknesses could easily be addressed by the Health Ministry of the Australian Government. It could expand and accelerate the work underway in order to review the existing procedures, to reduce the public subsidies to an appropriate extent as well as to allocate the unambiguous funding regarding this purpose. In this context, the government need to spend a significant amount of money to save the non-required expenditure. By making dedicated investments on review of the health technologies, progress could be attained with disinvestments and to invest under tax compliance. The Health Ministry should report the progress on annual basis and should ensure appropriate consultation processes to be in place. The Health Ministry of the Australian Government should also initiate various other significant short-term reforms which include sharing of the health technology assessments of the Australian Government on routine basis, with the states as well as the territories. Moreover, effective measures could be taken from other policy areas such as through environment approvals [ CITATION HAK15 \l 1033 ]. The regular reporting regarding the outputs, performances and timelines of the healthcare technology assessments of the Australian Government should also be taken into consideration. In addition to it, The Health Ministry of Australia should publish the reasons behind the subsidies on products and services to keep the process and procedures transparent. The effective information is an essential for effective and efficient healthcare system. The complicated technical nature of the healthcare system exhibits that the patients, governments and insurers do not have similar information and expertise as healthcare providers and so it becomes difficult for them to regulate the quality and cost-effectiveness of the healthcare system. The best way to keep a pace with it is to acquire information and transparency are vital for helping the community and governments to hold healthcare providers to consider as well as to promote clinically and cost-effective healthcare facilities to the patients. However, information and transparency are vital for serving the community and governments in order to hold the healthcare providers to account as well as to promote cost-effective and clinically appropriate patient healthcare facilities. However, shortage in the compilation and distribution of data communication on individual hospital costs and quality and inappropriate performance of the clinicians have hampered the transparency in the procedures. However, it has been found that the country has performed poorly in comparison to other countries in terms of providing information about the comprehensive performance and administrative data and in obtaining nationally consistent electronic healthcare related records. It is not impossible to improve the situation and transparency could be improved by the Health Ministry of Australian Government by taking initiatives as early as possible. The Health Ministry should publish essential information related to the healthcare providers as well as clinician performances. In addition to it, cost0effective practices could be made more effective by providing the researchers with the greater access to the government datasets considering privacy protections. The increase in the access to the electronic health records can promote effective coordination as well as management of the patient care. After analyzing the healthcare system of Australia, it has been identified that despite flawless healthcare facilities being provided in the country, that too meeting the international standards, there are certain aspects of the healthcare system that requires serious consideration by the Healthcare Ministry of the Australian Government to improve the services. In order to improve the healthcare system of the Australia, the Healthcare Ministry should accelerate the reviews of legislations and policies and to review and revise the healthcare technology assessment agreements of Australia in order to reduce the replica and fragmentation and to improve the disinvestment mechanisms as well as to share the healthcare technology assessments of the country with its states as well as territories. Moreover, in order to promote evidence-based clinical practices, the Health Ministry of the Australian Government should establish expert panels of the clinicians so that they can become able to evaluate and to promote the clinical guidelines and they can also provide guidance related to the distribution, implementation as well as review of the information. Furthermore, in order to improve the financial incentives for the quality patient care, there should be an Independent Hospital Pricing Authority could introduce quality and safety dimension to pricing within the activity based funding regarding practicability assessment which is presently in progress. The health ministers of the country could trial and evaluate alternative payment models and to encourage cost-effective investments in the preventive health sector, the government should routinely trial and evaluate preventive initiatives. In order to increase healthcare workforce flexibility, ministers of healthcare sector should initiate role expansions of the workforce on the basis of evaluations of previous and existing trials and to modify the scopes of practice in accordance to it. In order to increase competition in retail pharmacy, the restrictions upon the retail pharmacy should be removed. Lastly, the government of Australia should improve the availability of information and its dissemination regarding the performance of healthcare facilities as well as about the clinicians to keep the procedures transparent among the public. 1. AIHW, 2018. Hospital resources 2016–17: Australian hospital statistics. [Online] Available at: https://www.aihw.gov.au/reports/hospitals/ahs-2016-17-hospital-resources/contents/summary [Accessed 29 September 2018]. 2. Australian Commission on Safety and Quality in Health Care, 2015. Annual Report 2014-2015. [Online] Available at: https://www.safetyandquality.gov.au/wp-content/uploads/2015/10/Annual-Report-2014-15.pdf [Accessed 29 September 2018]. 3. Australian Commission on Safety and Quality in Health Care, 2017. Annual Report 2016–17. [Online] Available at: https://www.safetyandquality.gov.au/wp-content/uploads/2016/10/ACSQHC-Annual-Report-2015-16.pdf [Accessed 29 September 2018]. 4. Australian Government, 2018. Australian Commission on Safety and Quality in Health Care. [Online] Available at: https://www.health.gov.au/internet/budget/publishing.nsf/Content/2017-2018_Health_PBS_sup2/$File/2017-18_Health_PBS_4.02_ACSQHC.pdf [Accessed 29 September 2018]. 5. Australian Government, 2018. Efficiency in Health. [Online]. 6. Bouwstra, LM, W. & Groot, d., 2017. The influence of activity-based funding on treatment intensity and length of stay of geriatric rehabilitation patient. J Am Med Dir Assoc, 18(6). 7. Braithwaite, P, H. & B, B., 2017. Health system frameworks and performance indicators in eight countries: a comparative international analysis. SAGE Open Med. 8. Campbell, L., 2016. Shocking Statistics That Illustrate Australia's Obesity Problem. [Online] Available at: https://www.huffingtonpost.com.au/2016/02/24/australia-obesity-statistics_n_9154422.html [Accessed 29 September 2018]. 9. CFFR, 2011. National Health Reform Agreement. [Online] Council of Federal Financial Relations Available at: http://www.federalfinancialrelations.gov.au/content/npa/health/_archive/national-agreement.pdf [Accessed 30 September 2018]. 10. Commonwealth of Australia, 2015. Efficiency in health: Productivity Commission research project. [Online] Available at: https://www.pc.gov.au/research/completed/efficiency-health/efficiency-health.pdf [Accessed 29 September 2018].